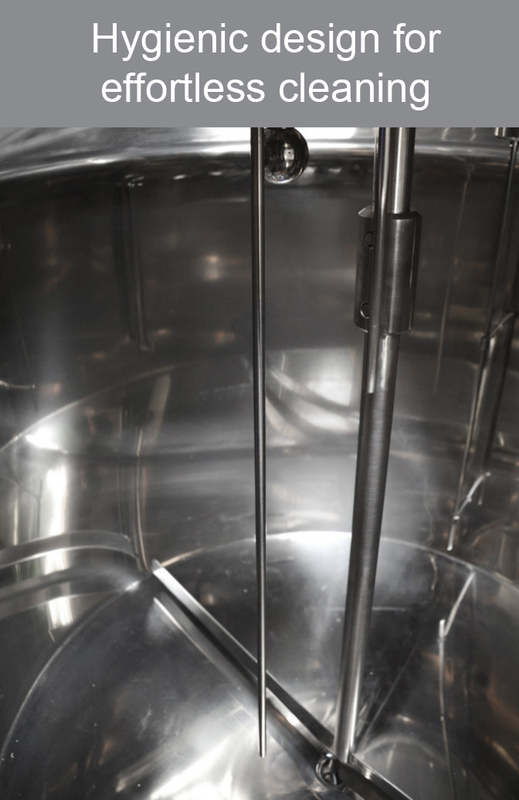 To be able to display the wort volume in a brewing kettle in liters on the operating terminal, the wort level is measured. A hydrostatic level sensor cannot be installed in the brew kettle for this purpose because the kettle is equipped with an electric heater at its base. Thus, a sensor solution with a rod length of approx. 800...900 mm is required that can be installed into the brew kettle from above. In the past, float switches were used, whose output signal was switched via reed contacts. In addition to the switch’s very low measurement resolution, the contacts were subject to wear, resulting in downtime and the associated costs for maintenance and service. 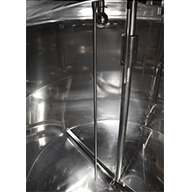 Moreover, float switches are difficult and time-consuming to clean, requiring large quantities of cleaning agent. 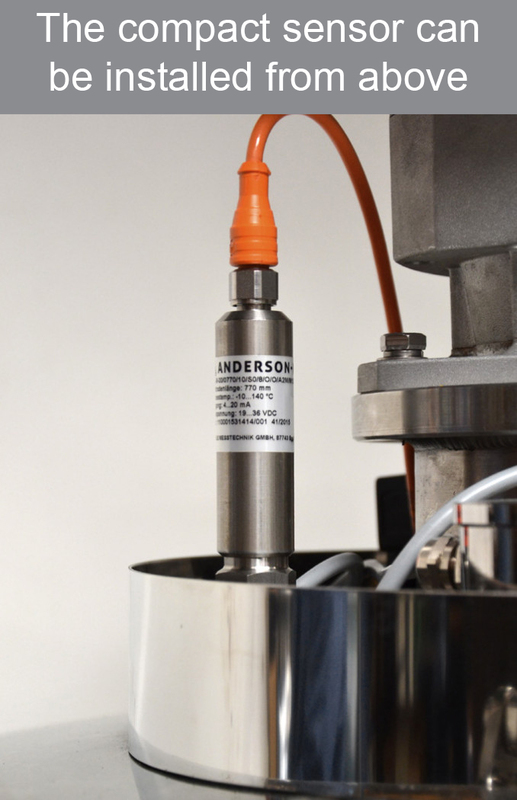 The potentiometric measuring principle achieves highly accurate measurements, even in foamy media. The equipment can be used for process temperatures up to 140 °C. The sensor features a plain rod and hygienic design that is easy and effortless to clean. The NSL-M provides a constant 4...20 mA output signal and operates without wear. The sensor easily withstands process temperatures up to 105 °C. The absence of a float on the sensor rod improves hygiene and cleanability. The slender sensor head of the NSL-M permits installation very close to the central agitator shaft, minimizing the thrust generated by the agitator blades. By avoiding wear and maintenance of the reed contacts and by shortening cleaning times, costs can be reduced. The system ensures that the mono pump does not run dry and that false messages do not result in production downtime.